USM Haller - Table 150 x 75 cm, chromed steel frame / MDF tabletop, veneered oak, lacquered black. The chrome dining table by USM Haller is a simple and timeless table that comes into its own in the living room or dining room as well as converted as a desk in the office. With a width of 75 cm and available in various lengths, the table offers enough space for several people and becomes the focal point in the living and working areas. The table consists of a four-legged frame in chrome-plated steel and a table top that is either available from linoleum, synthetic resin, MDF and veneered oak. The various materials and colours make it possible to use the table for different purposes and can be adapted to any environment and taste. Countless hours can be spent with friends and family at the dining table by USM Haller. 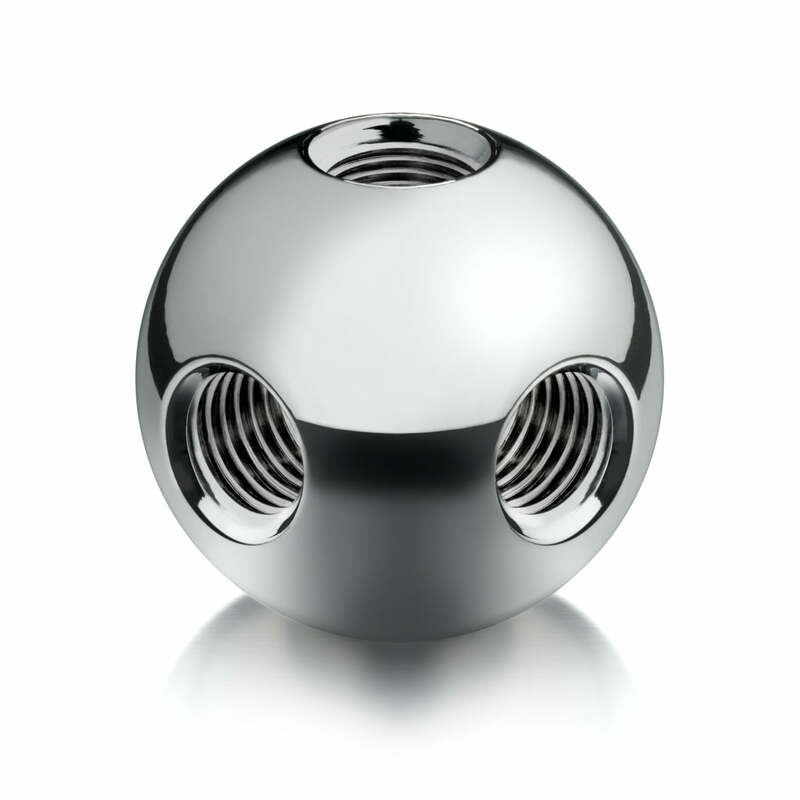 Thanks to the chrome-plated elements, it is the perfect complement to USM cabinets and side tables. Isolated product image of the USM Haller - Table 150 x 75 cm, chromed steel frame / MDF tabletop, natural finish. 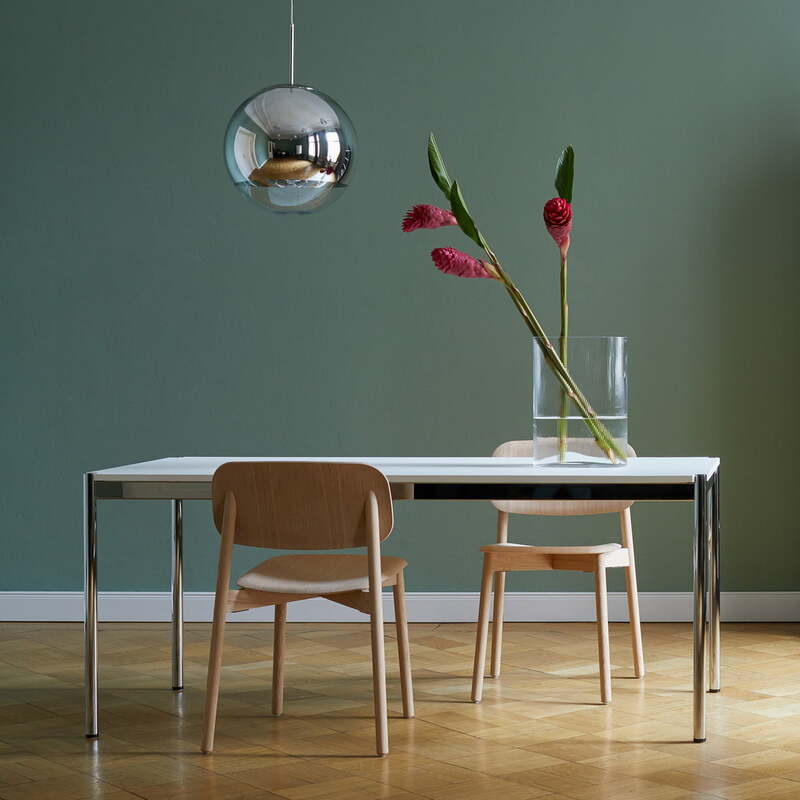 The chrome dining table by USM Haller is a simple and timeless table that comes into its own in the living room or dining room as well as converted as a desk in the office. 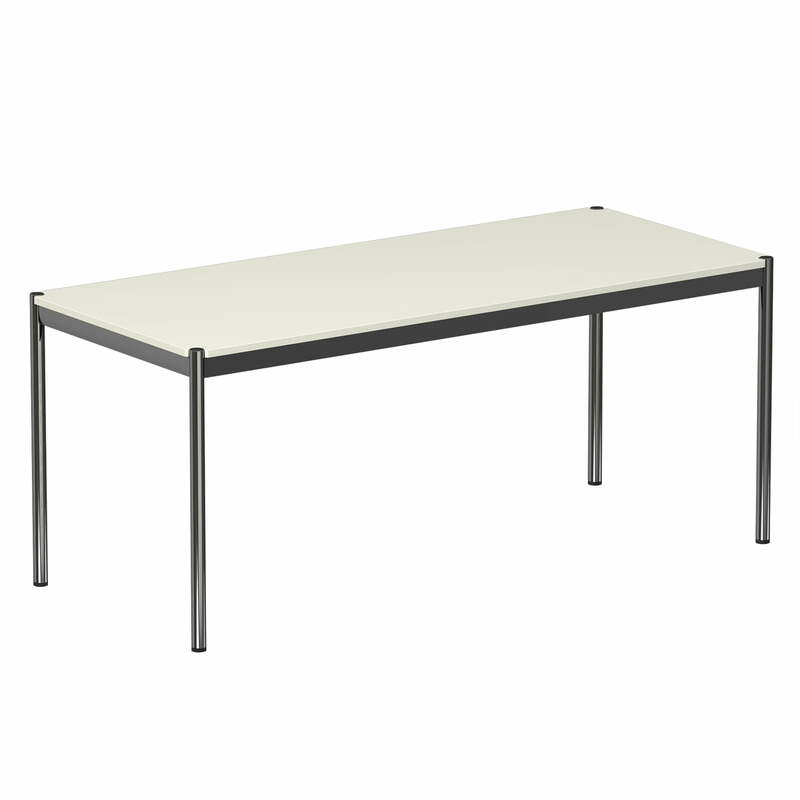 Isolated product image of the USM Haller - Table 175 x 75 cm, chromed steel frame / MDF tabletop, pure white (RAL 9010). While the frame is made of stainless steel, the table top is made from MDF. 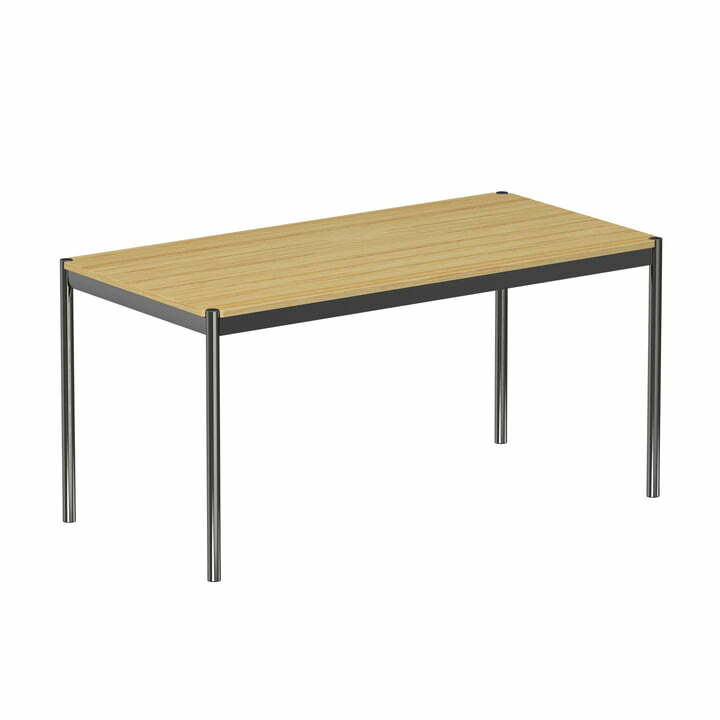 Lifestyle product image of the USM Haller - Table 175 x 75 cm, chromed steel frame / MDF tabletop, pure white (RAL 9010). Countless hours can be spent with friends and family at the dining table by USM Haller.